Ghaziabad city is one of the important educational hub in India. Ghaziabad is located in Uttar Pradesh and is a part of the National Capital region. Colleges in Ghaziabad provide courses in various streams. There are medical colleges, engineering colleges, architecture colleges, arts colleges, commerce colleges, ayurveda colleges and so on. The famous colleges in Ghaziabad are ABES Engineering College, ABES Institute of Management, Advance Institute of Management, Ajay Kumar Garg Engineering College, Ajay Kumar Garg Institute of Management, Babu Banarsi Das Institute of Technology, BLS Institute of Management, Harsaran Dass Dental College, Hi-Tech Institute of Engineering & Technology, HLM Law College, HR Institute of Pharmacy,HR Institute of Technology, I.M.E. Law College, Ideal Institute of Technology, IMS Engineering College, IMT Ghaziabad, Inderprastha Dental College & Hospital, Inderprastha Engineering College, Institute of Management and Research, Institute of Management Education, Institute of Productivity & Management Ghaziabad, Integrated School of Law, IPEM Law Academy, Kamkus College of Law, KIET School of Pharmacy, KNGD Modi Engineering College, Krishna Dental College, Krishna Engineering College, Krishna Institute of Engineering & Technology, Lord Krishna College of Engineering, Lord Krishna College of Management, Mewar Institute of Management, Modern College of Law, Raj Kumar Goel Institute of Technology, RD Engineering College, Royal College of Law, Satyam College of Management, Shiva Institute of Management Studies, Shree Bankey Bihari Dental College & Research Centre, Shri Swami Vivekanand Law College, Sri Ganpati Institute of Technology, Sunder Deep Engineering College, Vishveshwarya Institute of Technology, Vivekananda Institute of Technology & Science etc. Colleges in Ghaziabad offer undergraduate, post graduate, doctoral and diploma programs in various fields. Some Colleges are specialized in providing courses in specific fields of study. Apart from regular courses Colleges in Ghaziabad also provide education through different modes such as distance learning, campus study, Open University. Get connected to different colleges in Ghaziabad which is just a click away. StudyguideIndia will provide you the information as required by you. Information which is provided here is correct. If at all you come across any errors you are requested to kindly let us know. 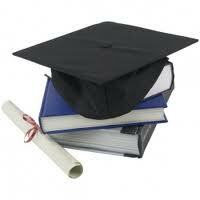 "Following are the list of Colleges in Ghaziabad. All Colleges in Ghaziabad are divided location wise. We have even listed Colleges in Ghaziabad as per alphabetical order making it easy to find the desired college and information on it. If you come across any College in Ghaziabad which is not found in our list below, please do let us know by using add in list which is default in our website�.